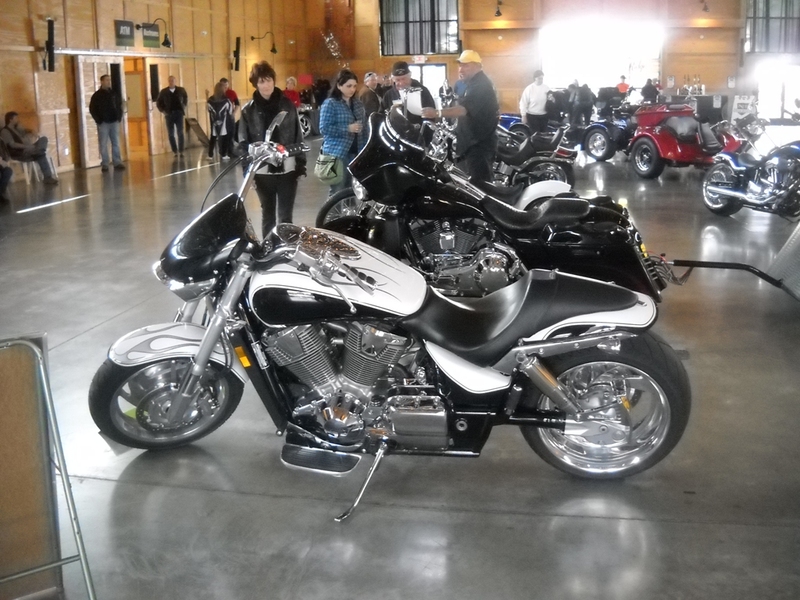 This was a three day event put on by a Reno promotion company specializing in motorcycle shows. 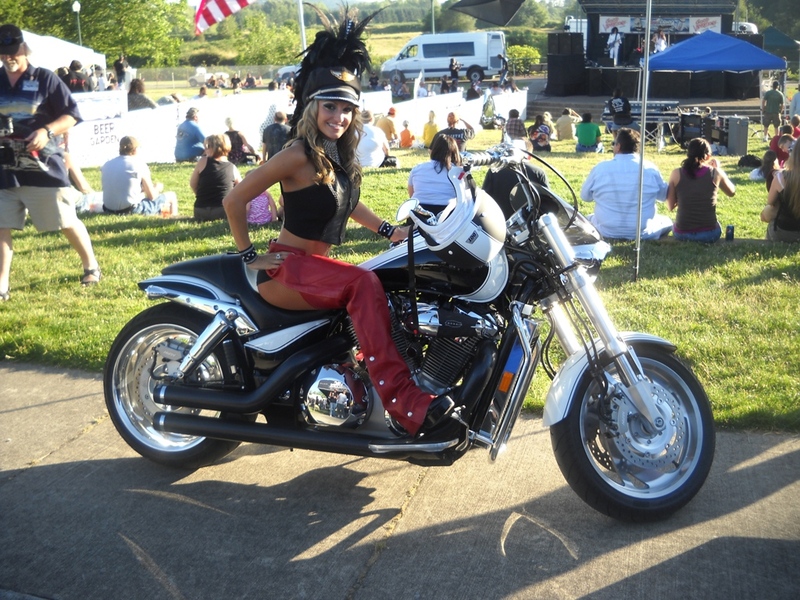 This is the first time a major motorcycle event has been held in the Salem Oregon area. The last I heard there were around 500 motorcycles registered for the event, and they expected another 300 or so to attend without registering - for an estimate of over 800 bikes. Most of these guys certainly showed up hoping for something closer to Sturgis, but there were only around 30 vendors. The event offered bands, rides, meals, the globe of death, and as you might expect - lots of bikes in the parking lot to look at. I am hoping that this event has shown people that bikers will show up for a good event and next year they will be able to get more vendors and show the bikers that it is worth coming back to each year. Lauren (the show girl) was among the highlights of the event, as she was walking around taking photos with whoever asked. She was the host and announcer for the various events (as you can see, I had several opportunities to get photos). I talked to lots of people throughout the event, and many are hopeful that this will return and continue to grow and become better each year. For a first year event, I consider it a great success. Note: the last day of the event I purchased the wicked gas mask in the last photo - it is much better than any of the other masks I have worn with shorty helmets, and it gets some interesting looks. 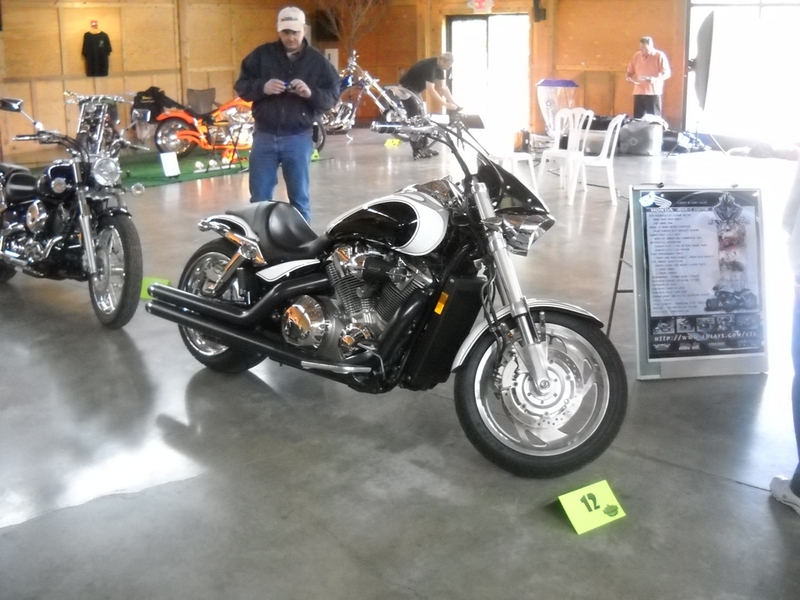 This was a one day event and the second year for this annual motorcycle show. It took place in the middle of the Oregon Gardens which were modeled after the famous gardens like Buchart Gardens in Victoria Canada. The setting is very nice, with a trolly that travels around and through the gardens. It was raining the day of the event, so that and the fact that it was early in the season resulted in a pretty meager showing. Considering this is a large in door venue with live bands through out the day, the turn out should have been better - and it was a great show for all that came. The promoters have said they intend to move the event to later in the season next year, so I am looking forward to seeing this event return next year.